I have two clients connected to my server. Client 1 is running Emby Theater. I use this client to play media on my TV. Client 2 is running the Emby Web App. I use this client as a remote control. Normally, I can see the Emby Theater client under the list of cast devices from the Web App. However, if the server restarts, after both clients have re-connected, the Emby Theater client no longer appears under the list of cast devices. Even if I restart the Web App client, it doesn't display. The only way to get it back is to close Emby Theater and open it again. This error is reproducible. (I've reproduced it just now using the above steps). Edited by blue-wizard, 20 January 2018 - 10:06 AM. Try going back into it the theater app and navigating. That should bring it back. Tried that. It didn't solve the problem. If my Emby Theater (ET) is idle for a period of time, remote control actions do nothing. I play some media on ET at night before going to sleep. I leave ET running over night. I wake up in the morning and, using a remote control app, try to play some music on ET. Nothing happens. This is not the only scenario or time-scale on which this happens. If ET is idle for a period of time (e.g., 30 minutes or so), this can also happen. The ET machine's power settings are such that it doesn't take any actions when idle (like going to sleep). ET is in the foreground when this happens. I can still connect to ET using my Web App via the cast button. It's just that the remote control functions have no effect on ET. 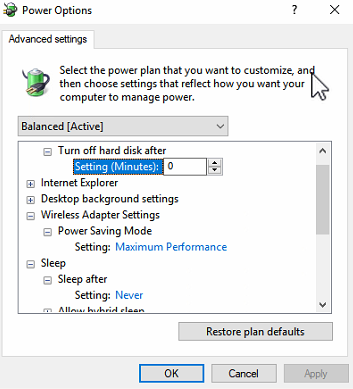 It's set to never sleep, never turn off the HDD, and wireless adapter power saving is disabled. @blue-wizard, i've merged two of your topics that are discussing essentially the same thing. thanks ! In one case I cannot see my ET device on the list of devices on the network. In the other case I can see and select my ET device, but when I issue commands nothing happens. 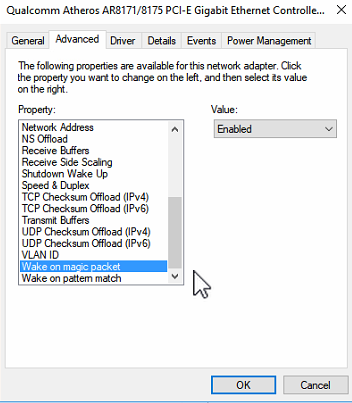 Check the power options for your NIC. It may be turning off, to save power. Thanks, but that doesn't appear to be the issue either. 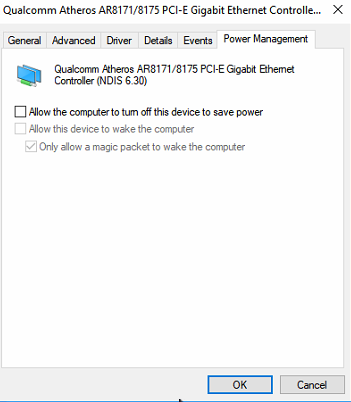 The NIC is configured not to turn off for power savings. Maybe it's just losing focus. I've been wondering if we need an option to always keep Theater on top. That might help with that. Edited by Doofus, 25 January 2018 - 07:57 PM.